In addition to the Redmi Note 7, Xiaomi also unveiled the new Redmi Note 7 Pro smartphone. It is the international debut of the Pro-variant, which features a number of tweaks and upgrades over the Redmi Note 7, including a powerful processor, more storage, and improved cameras. Continuing its tradition of aggressively pricing its smartphones, Xiaomi has priced the Redmi Note 7 starting Rs. 9,999 for the 3GB + 32GB version. The 4GB + 64GB model will carry a price tag of Rs. 11,999. According to the company, it will be offering the Redmi Note 7 in three colour options - Onyx Black, Ruby Red, and Sapphire Blue. The first flash sale of the smartphone is scheduled 12pm IST on March 6. The phone will be offered via Mi.com, Flipkart, and Mi Home stores. It will become available via select offline retail chains "soon". As for launch offers, an "ultra-slim" case will be bundled, while a perforated case will be available for Rs. 349. Airtel will be offering up to 1,120GB with unlimited calling, as well as Airtel Thanks benefits like free access to Airtel TV premium, App advisor, Spam Block, Contacts Backup, and more. The Redmi Note 7 sports a 6.3-inch full-HD+ (1080x2340 pixels) screen with 19.5:9 aspect ratio, Gorilla Glass 5, and waterdrop-style notch. The phone is powered by Qualcomm's Snapdragon 660 octa-core SoC and packs 3GB/ 4GB of RAM. It also includes 32GB/ 64GB of inbuilt storage and a microSD card slot (up to 256GB) for further expansion. Additionally, the company has added a 4,000mAh battery with Quick Charge 4.0 support, rear fingerprint sensor, USB Type-C port, 3.5mm audio jack, and dual-SIM support (hybrid). In terms of the connectivity options, the Redmi Note 7 comes with Wi-Fi 5, Bluetooth 5.0, and Infrared. Moving to the imaging capabilities, which Xiaomi highlights as one of the strong points of the phone, the Redmi Note 7 features a dual camera setup on the back that houses a primary 12-megapixel sensor (with 1.25-micron pixels) with a secondary 2-megapixel depth sensor. In China, the company used a 48-megapixel Samsung ISOCELL GM-1 sensor and a 5-megapixel depth sensor on the Redmi Note 7. There is a 13-megapixel front shooter on-board as well - the same as the China variant. The company claims that the camera app on the Redmi Note 7 uses artificial intelligence (AI) to offer a better portrait mode, smart beauty features, and scene recognition support. 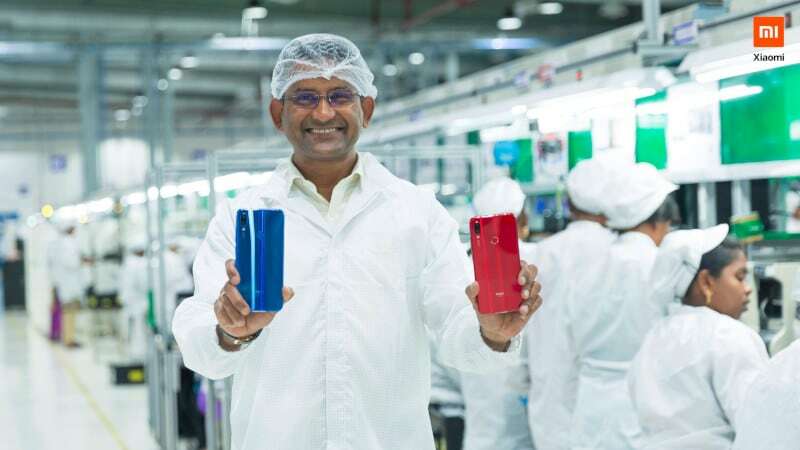 Redmi Note 7 and Redmi Note 7 Pro are going to be very important smartphones for Xiaomi in India as the company gears up for increased competition from the likes of Samsung, which is getting ready to flood the market with affordable phones with enticing specifications, right from Xiaomi's playbook.